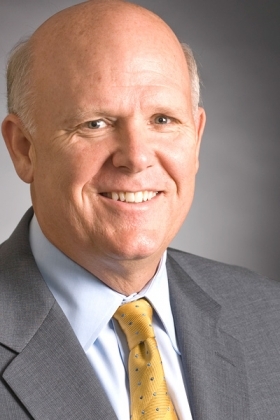 Dan Akerson will have to try to restore profitability at GM's European business. FRANKFURT (Bloomberg) -- General Motors Co. incoming CEO Dan Akerson's biggest challenge in selling investors on the company's initial public offering may be convincing them he can revive the unprofitable European unit. In Europe, the Detroit-based automaker's only unprofitable region, losses totaled $637 million before interest and taxes in the first half. Its updated Astra compact failed to reverse a drop in market share and unions still are stinging over plans to close Adam Opel GmbH's factory in Antwerp, Belgium. Akerson's appointment last week erased one of the biggest questions over the IPO, giving investors a long-term chief instead of 68-year-old Ed Whitacre. Possible buyers now want to know whether Akerson, 61, has a plan to stem the losses in Europe, investors said. GM may seek to raise as much as $16 billion in the offering, a person familiar with the situation has said. “One of the aspects to consider before deciding upon the IPO is to see a more specific roadmap for how, and by when, they are going to turn Opel around,” said Raimund Saxinger, a fund manager at Frankfurt Trust Investment GmbH, which oversees about $21 billion including automaker shares. Europe accounted for 20 percent of GM's vehicle sales in the first half of this year and an equal percentage of its employees. Industrywide, more vehicles were sold in Europe last year than in the U.S. or China. One challenge in restoring profitability will be boosting deliveries with lower sales incentives. In Germany, Europe's biggest auto market, Opel dealers offered average discounts of 12.7 percent in June, trailing only the 12.8 percent of French carmakers Renault SA and PSA/Peugeot-Citroen, according to trade publication Autohaus PulsSchlag. Opel sells about 90 percent of its cars in Europe. Opel's first-half market share fell to 7.2 percent from 7.5 percent. GM has said it plans to spend 3.6 billion euros ($4.6 billion) of its own money to overhaul Ruesselsheim-based Opel and its UK sister brand Vauxhall after the German government refused in June to provide aid. The restructuring would include closing the Antwerp site if a buyer for the factory can't be found by the end of the year, GM has said. GM had planned to sell a majority stake in Opel under a German-government brokered deal in November to a group led by Magna International Inc. before the board, goaded by Akerson and other members from private-equity backgrounds, decided to keep the unit. Opel spokesman Stefan Weinmann declined to comment on the carmaker's IPO plans or whether the German unit might have a negative impact on a share sale. GM's IPO may be the second largest in U.S. history, behind Visa Inc.'s $19.7 billion initial offering in March 2008, and would come at a time when share sales haven't rewarded buyers or sellers. Eight of the last nine American companies to complete their initial offerings took discounts to sell their shares, while half of the IPOs this quarter have left buyers with losses, data compiled by Bloomberg show. The share sale is GM's first step in freeing itself from government ownership, which Whitacre has pushed for after GM's $50 billion taxpayer bailout and bankruptcy last year. The company, 61 percent owned by the U.S. Treasury, aims to sell a fifth of the government's stake, reducing the U.S. to a minority owner, two people familiar with the plan said in June. Chief Financial Officer Chris Liddell said in an interview last week that GM is confident it can break even in Europe by next year. The restructuring plan includes eliminating 8,300 jobs from a European work force of 48,000. The German brand is also looking at markets outside the region to expand sales. GM said in its second-quarter earnings statement last week that its operations in Russia and Uzbekistan were recategorized as part of its international segment instead of its European unit, reducing Europe's first-half operating results by $29 million. The first-half loss also included a gain of $123 million from the sale of Saab Automobile AB to Spyker Cars NV. Opel developed the platform that served as the base for the new Astra compact, the Chevrolet Cruze small sedan and the Volt plug-in hybrid, Weinmann said. German engineers also help test and fine-tune smaller Cadillac models, he said. GM is studying the possibility of adding a stretched version of Opel's Zafira large minivan for sale in the United States, three people familiar with the process have said. The Astra starts in Germany at 15,900 euros, compared with 16,825 euros for the segment-leading Golf from Volkswagen AG and 16,290 euros for rival Fiat S.p.A.'s Bravo, according to the manufacturers' Web sites. Opel this month began offering warranties on all cars up to 160,000 kilometers (99,200 miles).